The same face. Lisa and Elvis...♥. 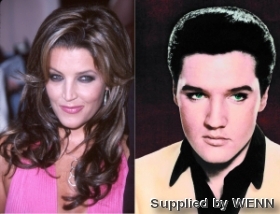 Wallpaper and background images in the Elvis Aaron Presley and Lisa Marie Presley club tagged: presley lisa princess elvis king. This Elvis Aaron Presley and Lisa Marie Presley photo contains portrait, headshot, and closeup. There might also be pagiging kaakit-akit, apila, and hotness. How can you be so beautiful?